De-embed audio to balanced analog or AES/EBU formats and timecode output. 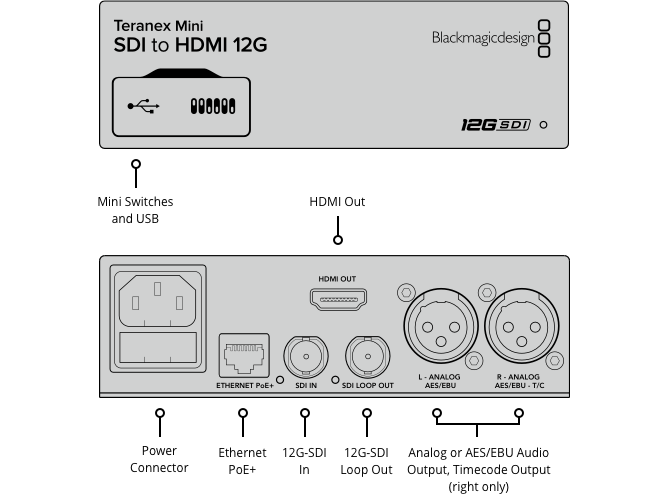 Perfect for using HDMI televisions as SDI broadcast monitors and for connecting to video projectors. 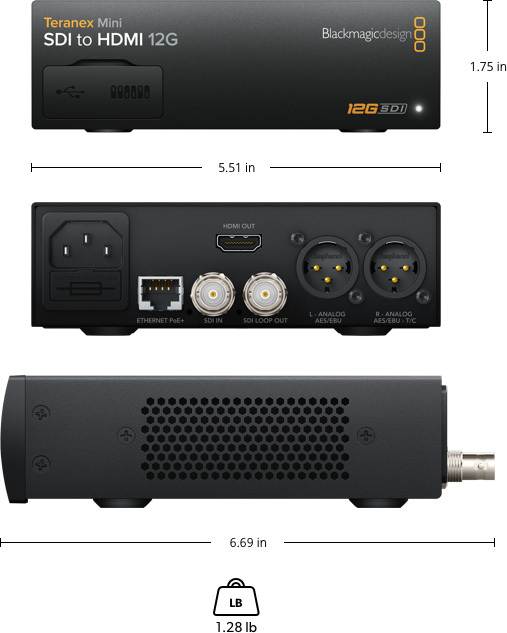 4 channels professional 110ÃŽ© balanced digital audio via XLR connectors. Right XLR can be configured for Timecode output. Mac OS XÃ¢â€žÂ¢ and WindowsÃ¢â€žÂ¢ software upgrade via USB or Ethernet.